There is no legal requirement for any party to settle a workers’ compensation claim, but some employees who are injured in workplace accidents find that doing so provides a number of advantages. Under workers’ compensation laws administered by the Maryland Workers’ Compensation Commission, an employee, employer, or insurance company can settle at any time during the proceedings. However, it is important to understand how the process works because a claim cannot be re-opened once you reach a full, final settlement. Due to the legal challenges and complications that can arise when settling a workers’ compensation claim, it is essential to work with a Maryland workers’ compensation lawyer. An attorney can help you understand your rights and explain your legal options, so you can make fully informed decisions regarding your case. An overview of settlements may also be useful. When deciding whether settling your workers’ compensation claim is right for you, you should consider the benefits you can receive and what you may be giving up. Permanent Partial Disability: If your work-related injuries contribute to a permanent impairment, short of total disability, you can receive permanent partial disability through a settlement agreement. Temporary Total Disability: When you are completely unable to work, but only for a certain amount of time, you may be entitled to temporary total disability benefits. Still, an employer may contest this amount and refuse to pay. Through a settlement, your employer may offer to pay for these benefits as a condition for you releasing your right to seek temporary total disability in the future. Unpaid Medical Bills: Maryland workers’ compensation laws allow you to receive ongoing treatment for your work-related injury. Your employer and/or insurance company may offer a lump-sum amount for your unpaid medical bills, but that means you cannot seek any more benefits to cover the costs of your care. A workers’ compensation settlement may be appropriate if you have reached the maximum level of medical improvement and your doctor believes that no additional medical treatment will be necessary. When you do execute a settlement agreement, it is important to understand that this closes your claim and you have reached full and final settlement. 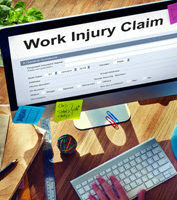 Your claim cannot be reopened and you cannot seek additional amounts for your on-the-job injury. Your settlement is a guaranteed benefit. If your case proceeds to a hearing, you take on certain risks, such as the judge reducing or denying your claim. You may not obtain any benefits if there is a finding in your employer’s favor. You will probably give up your rights to future medical bills, because your employer will force you to relinquish them as a condition of settlement. When your injuries may require further treatment, you should either make sure the settlement amount is high enough to cover them. If not, settlement may not be the right option for you. If you would like to know more about settlement and whether it is a good fit for your situation, please contact Steinhardt, Siskind and Lieberman, LLC for more information. We can schedule a free consultation at any of our Maryland offices, including our locations in Glen Burnie, Owings Mills, Ellicott City, or Annapolis.